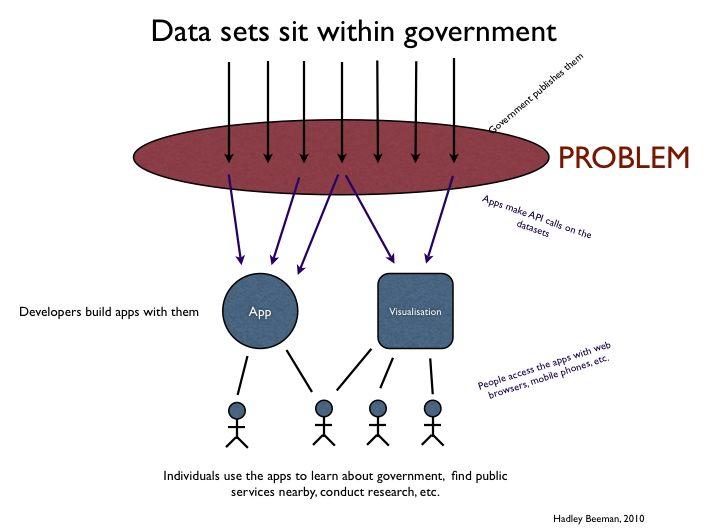 This diagram shows the vision of government opendata; the way it’s supposed to run. 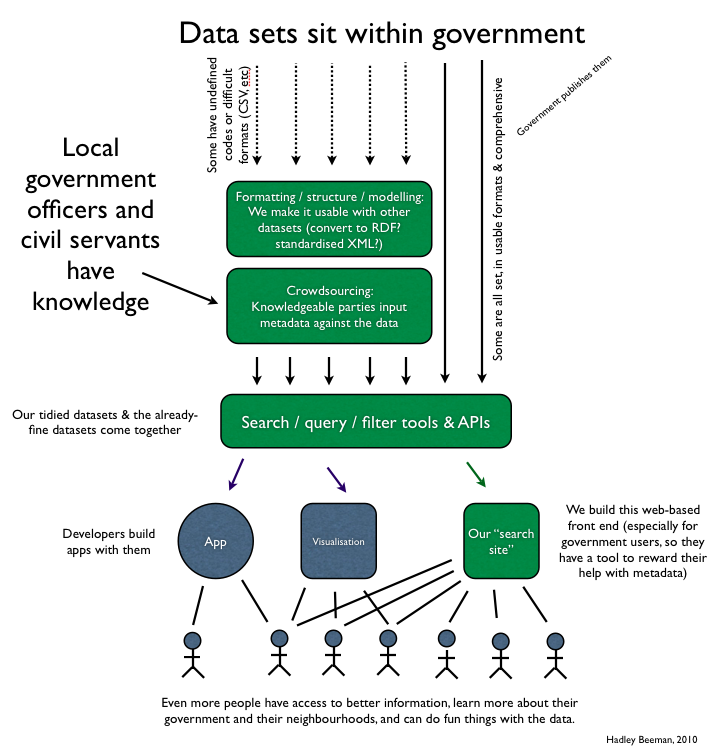 Various parts of government (local, central and NHS, plus all the non-departmental public bodies) publish their datasets, either on their own websites or on data.gov.uk. Developers come along and code neat apps and visualisations to do fun things with the data, and users/citizens are able to be more informed about their government’s activities, more closely connected to the resources in their neighbourhoods, and able to mash up the data with activities in their own lives (or other sectors). Unfortunately, this process isn’t exactly flowing the way it is meant to. Differences in formatting and, most importantly, undefined codes and values mean that much of the published data can’t be analysed or compared to any other data. This frustrates us. A process or mechanism to reformat the problem datasets into something we can work with. We then need to be able to get the data in any format that suits us. The things we are building are in green. 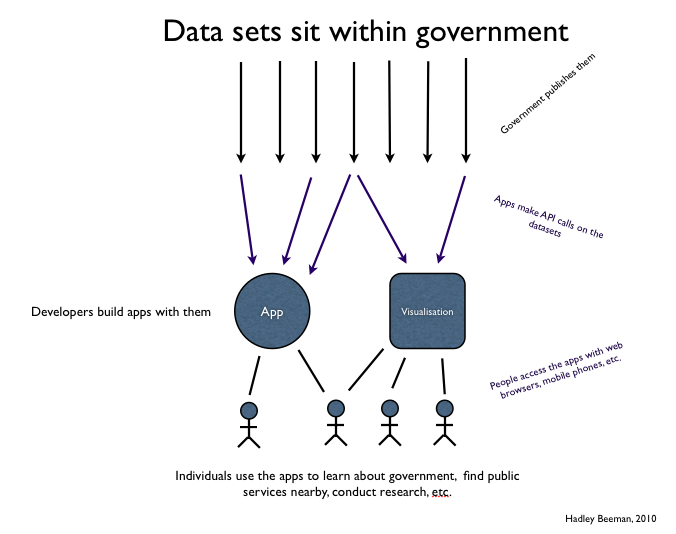 2 Responses to : Why do we need LinkedGov?